if you slept well every single night ? In the United Kingdom alone over 22 million people struggle with insomnia and other sleep problems. That is 1 in every 3 people, not even mentioning worldwide figures! What is The Sleep Deep Method about? The Sleep Deep Method is about SO MUCH more than sleep. When you sleep well at night, your live a very different life, I am sure you agree with me. You are more productive, communicate better, really able to tackle all those challenges that life throws at you and these are only three things that I hear from clients who improved their sleep by working with me. Are you up for a Sleep Challenge? It is World Sleep Day on 15th March 2019 and this year's theme is Healthy Sleep, Healthy Aging. This year we have decided to launch The Sleep Deep Method® 10 day Sleep Challenge. The Challenge will begin on Monday, 18th March. Join us for this challenge to receive exclusive content that will help you improve your sleep and wake up refreshed in the morning. This sleep challenge consists of easy to follow video lectures or modules with simple action steps to address the most common sleep related issues that I come across when working with CEOs, Senior executives and Entrepreneurs. What are the causes of insomnia ? I know from my work that many people who are currently relying on sleeping pills to get their rest, don’t really need medication. Excluding those with an underlying medical condition, many busy professionals simply need a better understanding of their sleep problems. Knowing themselves better allows them to pick the right tools and tips for themselves from the vast amount of general advice out there. If like many of my clients, you want to get quality sleep and improve your performance in the daytime without medicating yourself, then these are my 4 top tips for 2019. I am very proud to present the World Sleep Day documentary that has been officially recognised by the World Sleep Society as an official World Sleep Day activity. We spent the day interviewing Londoners about their sleep problems as well as raising awareness about The Wold Sleep Day. It was great to talk to individuals and help them with resources they can use to do improving their sleep and overcome insomnia and other sleep problems. My name is Beatrix A Schmidt. 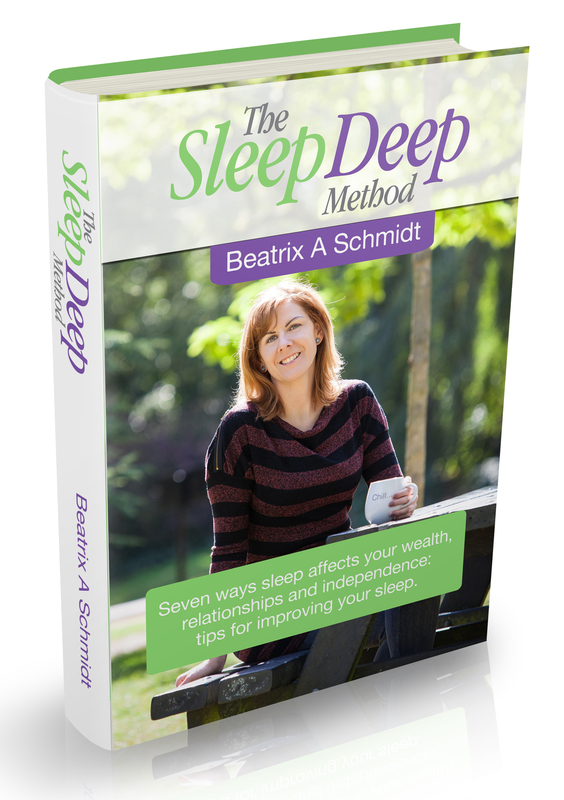 I am a sleep coach, speaker and author of The Sleep Deep Method. I spent the last 10 years studying and researching sleep, initially because I wanted to find out how we can optimise our sleep and help with overcoming my insomnia. Today in my private practice I work with professionals like you: CEOs, senior executives and entrepreneurs to put the tools and techniques that I learnt from my research into their every day lives. These not only help them to overcome insomnia and other sleep related problems and sleep peacefully and restfully every single night but also to wake up with energy in them morning. First of all, so many people struggle with sleep every day and impacts their every day life, yet solving sleep problems can be so simple when you have the practical tools and techniques to help you. Secondly, having struggled with insomnia in my mid twenties, I know how it feels not to be able to get to sleep at night, wake up in the middle of the night and unable to get back to sleep and once you wake up in the morning feeling tired and then having to face a busy day. And the third reason is quite simple - better sleep makes better people.